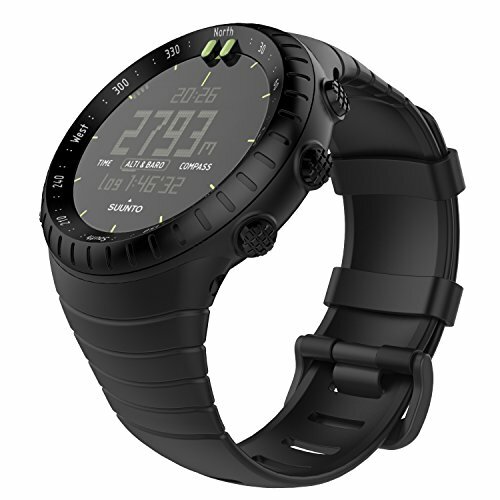 Custom designed for your precious Suunto Core Smart Watch, this MoKo Suunto Core Watch Band features a combination of functionality and style. * Personalized your Suunto Core Smart Watch with this refined replacement wrist band. * It comes with 2 flat blade screwdrivers, which make the band easy to install and remove. * Metal buckle clasp made with hypoallergenic nickel free stainless steel. * 5 colors for your choice: Black, White, Midnight Blue, Army Green and Red. * High quality TPU material for a fashion look. Comfortable, durable and water-proof. Personalized your Suunto Core Smart Watch with this refined replacement wrist band. It comes with 2 flat blade screwdrivers, which make the band easy to install and remove. Metal buckle clasp made with hypoallergenic nickel free stainless steel. High quality TPU material for a fashion look. Comfortable, durable and water-proof. 5 colors for your choice: Black, White, Midnight Blue, Army Green and Red.